Congratulations to Carlo Biado as he won the 21st Gold Medal of the Philippines in Southeast Asian Games 2017. 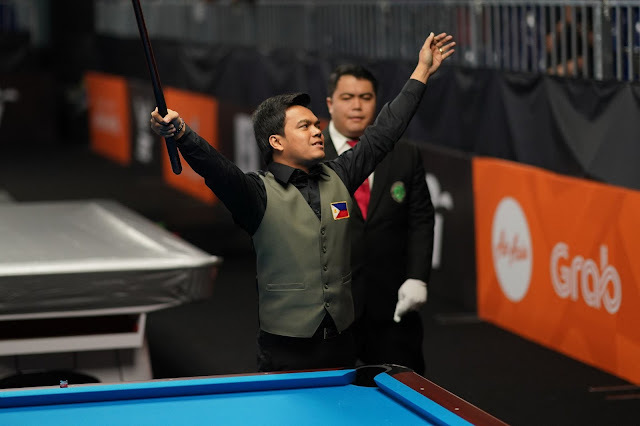 Carlo Biado won the Gold Medal by defeating Vietnam's Duong Quoc Huang, with a score of 9-5 in men’s 9 ball singles. Currently, the Philippines has 22 Golds, 28 Silver and 55 Bronze in the SEA Games 2017.